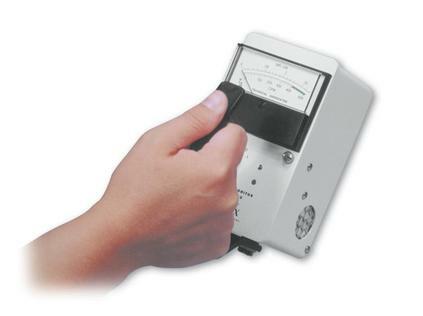 This compact 3-range surface rate meter is equipped with an internal 2-inch diameter pancake GM detector and built-in speaker. The detector's thin window is recessed and protected by an aluminum grill. 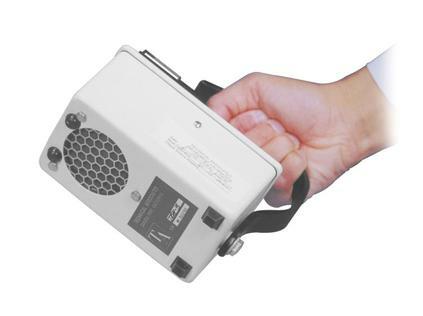 Its small size, light weight, and one-hand operation make this unit an ideal tool for surveying bench tops and other surfaces, and for checking hands and clothing for radioactive contamination. The meter face reads in both cpm and mR/h. Anti-saturation circuitry keeps meter needle at full scale in high radiation fields.